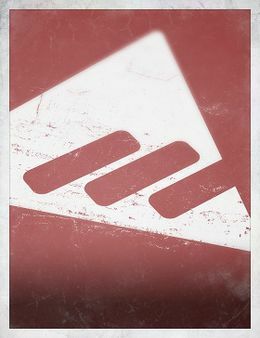 New Monarchy is one of the factions of the Guardians of the City. It is an organization dedicated to the City and attempts to bring back the Golden Age. It also gathers recruits in the Tower for participation in the Crucible. Leaders of the faction are called Executors. The New Monarchy rose from the chaos of the Faction Wars with a simple, inclusive guiding tenet: "Together we will rise." Leery of the fragile state of the City's politics, the New Monarchy maintains a watchful eye on the Speaker, the Consensus, and the Vanguard, seeking the leadership that will properly reign over the City and return civilization to its Golden Age splendor. To New Monarchy, if that leadership cannot be found, then it must be created. Members of New Monarchy are known for their ambition, drive and executive legal powers, New Monarchy arms and supplies the City's Guardians who are willing to fight to reclaim the solar system. Despite being wary of the Consensus, New Monarchy and the Guardians who pledged themselves to the faction are credited for laying the killing blow to the traitor Lysander and his Concordat, who sought to overthrow the Consensus and the Speaker, at Bannerfall. When the Cabal Red Legion invaded the Last City, New Monarchy provided evacuations and relief efforts to the survivors, even claiming to have done so more than any of the other factions combined. However, following the onset of the Red War and the reclamation of the Last City from the Red Legion, New Monarchy began to struggle in gaining new followers, as a new "power to the people" feeling inspired by the likes of Suraya Hawthorne began to spread among the populace; Some even began to steal supplies from New Monarchy suggesting to follow "Hawthorne's lead". Despite this, New Monarchy has set up a recruiting stand and base of operations in the Bazaar, opposite of the hangar in the new Tower area. New Monarchy is a staunchly pro-City faction that believes in law and order. They hope to rebuild the Golden Age and believe in humanity's ability to overcome their current hardships. While the Faction Wars may have ended with the establishment of the Consensus, New Monarchy still aims to place an enlightened Monarchy in charge of the City in place of the currently fragile alliance between factions. New Monarchy's Executors are also expected to follow a strict set of laws on how to represent their faction and identify the one true ruler. To secure our walls from the enemies without. To secure the rights and liberties of every upstanding citizen. To sponsor the sciences of the City, and salvage the ruins beyond, so that our Golden Age might be reborn. To support the Guardian Orders by leading the City in technological innovations. To support the natural harmony of the City, and to actively dissuade any group or individual that might disrupt that harmony. To hold all individuals, compacts, and alliances to the highest standards of productivity and right behavior. To, by vote of the Consensus, abolish the Consensus, and transfer ultimate power, in order that the rights and liberties of all citizens be secured, to a single sovereign of unimpeachable character. Rank 0: New Monarchy class item (used to acquire reputation). Rank 1: New Monarchy emblems. Rank 2: Legendary New Monarchy armor. Armor provides bonuses to intellect and strength. Rank 3: Legendary New Monarchy weapons. 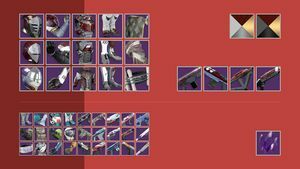 In Destiny, gear is earned during the Faction Rallies by completing a variety of tasks, such as Lost Sectors and Public Events, as well as by completing Strikes. These events provide New Monarchy Tokens which can then be turned in to Executor Hideo for New Monarchy Engrams, which contain both faction-exclusive rewards and generic loot. "What separates us from the Darkness? It is neither our technology nor our strength in battle. It is our minds, civilization and potential. Why else would the Traveler have chosen us? The Last City can be more than a cradle of refugees. It cries out for a guiding hand that can bring out its best." "Enough talk. The time for action has come." "A finger can be broken. A fist cannot." "The City is divided. We must unite beneath a single will." "Our choice is simple, Find our strength, or face extinction." "In pursuit of the City's safety, our jurisdiction is unlimited." "The City prospers on our field of order and justice." "What rules us is our service to the greater welfare of the city." "A fractured wall is the hallmark of disorder..."
New Monarchy's name and purpose are similar to the real-life "New Monarchs" of the 15th century.